Chef Toshio Date is the Executive Chef at the ultra-chic Japanese restaurant KIKU (in Le Meridien Hotel, Dubai). 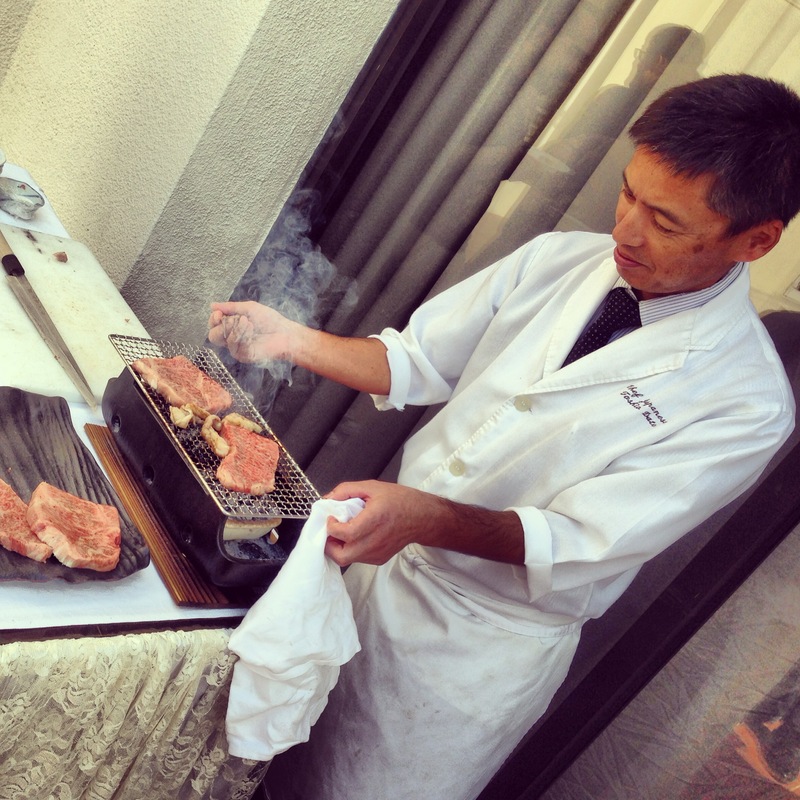 Chef Date has a career spanning thirteen years, and was previously working as the head chef in Grand Hyatt, Tokyo. Chef Date used the fine ingredients exhibited at the Japanese Food Exhibition to conjure up innovative, tasteful delights. The spread was a Japanese connoisseur’s delight. From all the fine dishes, the chargrilled Japanese Wagyu beef stole the crown. Juicy, flavorsome and cooked to perfection, the premium cuts required very little in terms of seasoning. 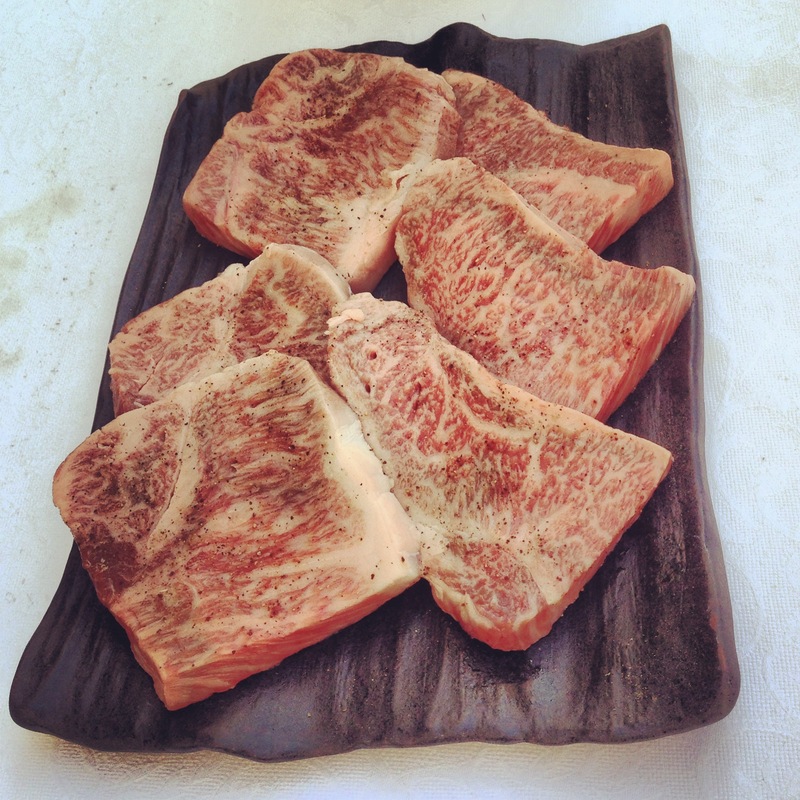 Japanese Wagyu beef is the finest of bovine cuts. Expect to pay approximately AED 600 for a 200 gram steak at Kiku. The Cold Soba Noodle bowls were packed with exotic undertones, and the crunchy tempura sprinkles added just the right amount of texture. Chef Date reinvented classics with the Baked Bun stuffed with Japanese Beef Curry. His other innovative twist was the stuffed cherry tomatoes. I also enjoyed the Cold Tofu made from Almond Milk. It was soft and silky, and still had the delicate taste of almond. 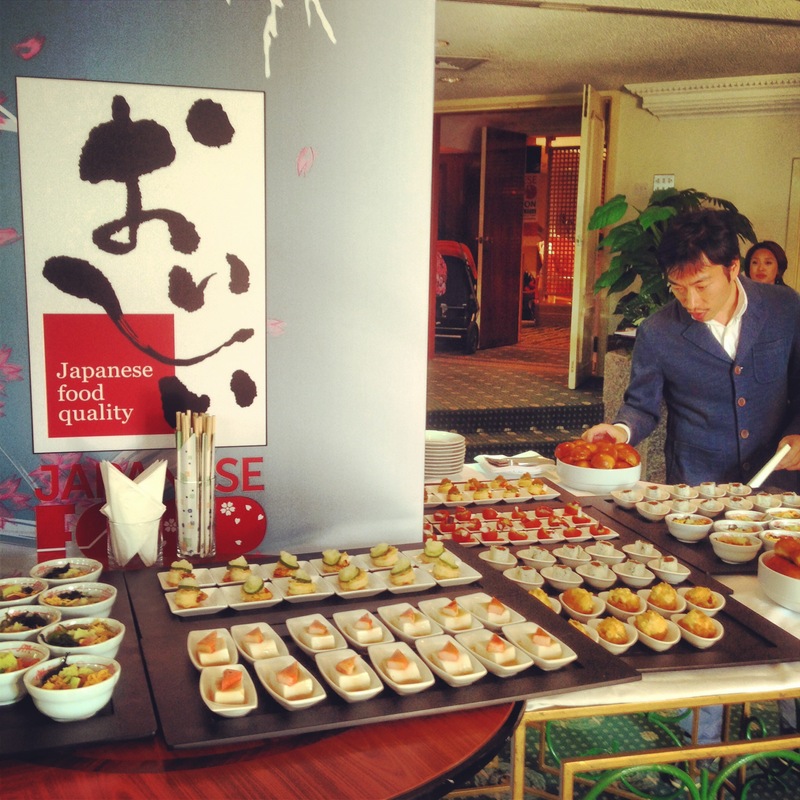 Overall, it was a gastronomic fair, and a wonderful introduction to fine dining Japanese style. I had the pleasure of interviewing Chef Toshio Date, and he was kind enough to share a basic Japanese Tempura recipe with us! Tell us about yourself, and how you chose your career as a chef. 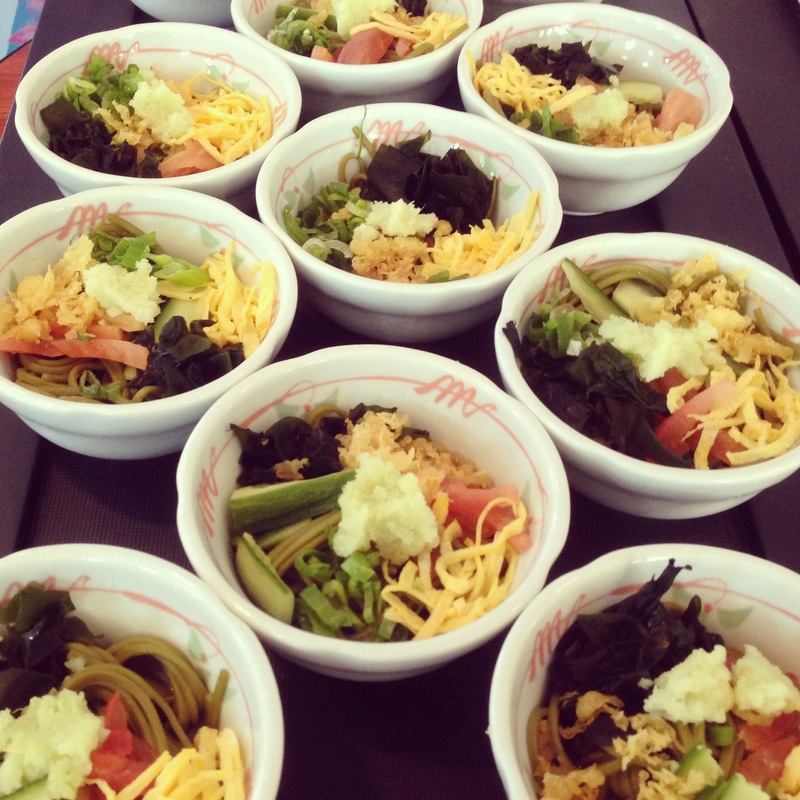 I like Japanese food from childhood, and became a chef after graduating from the food professional school. Originally I have also thought to want to go out to overseas, the reason for coming to Dubai is the introduction from the Grand Hyatt friends. What makes Japanese cuisine different from any other place? In French and Chinese cuisine are finish cooking in the sauce of spices and rich taste, but Japanese cuisine is soaked to the material the taste of soup(We called this soup “Dashi”), has pulled out most of the taste and flavor of the food. If you had to pick one key ingredient you cannot do without, what is it? 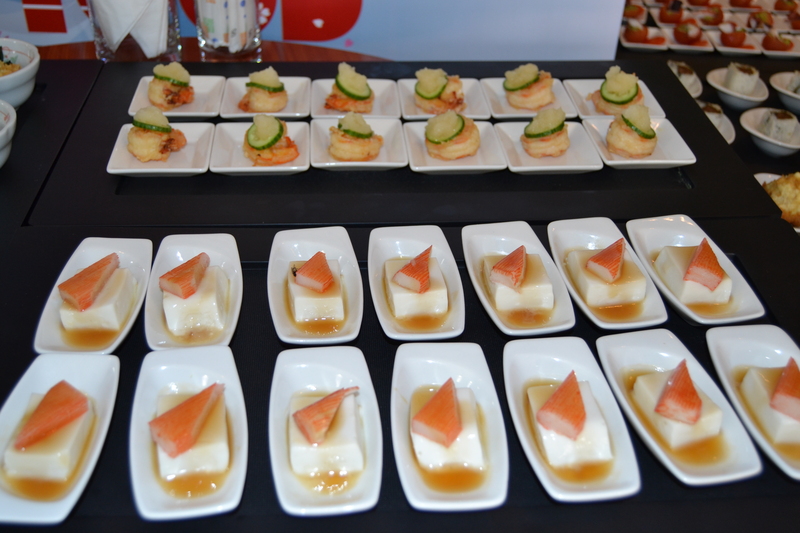 From all the wonderful ingredients available at the Japanese Food Exhibition, what are your picks? For someone new to Japanese cuisine, what dishes would you recommend they order? Can you share a basic tempura recipe with us? Remove heads and shells from shrimp without removing tails. Dive in the shrimps. Make two or three incisions on the stomach side of the shrimp to straighten them. Lightly press the back of shrimp to straighten. Remove the dirt from the tails of shrimp, using a knife. Dry shrimps on paper towels. Beat an egg in a bowl. Add ice water in the bowl. Add sifted flour in the bowl and mix lightly. Heat the oil to 180 degrees C. Lightly flour shrimp. Pick the tail and dip shrimp in the tempura batter. Immediately deep-fry the shrimp until crisp. (POINT:timing of taking out when the bubble is larger). Thank-you Chef Toshio Date! We wish you all the success in your new role at Kiku! 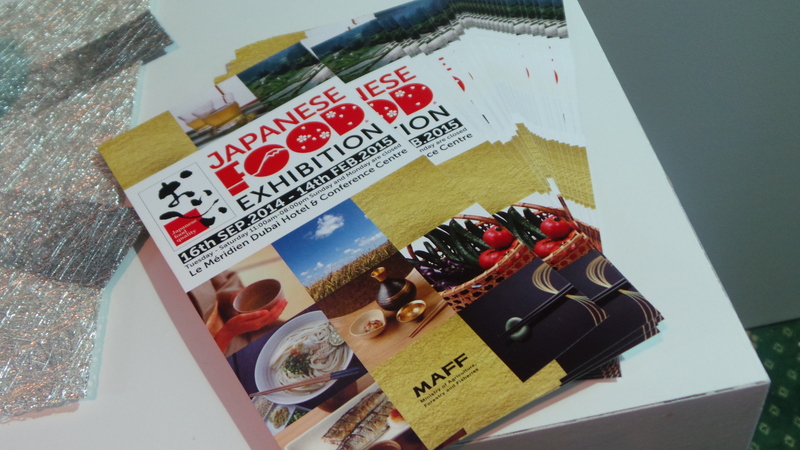 If you are catering to fine dining and looking for only the best of Japanese cuisine, visit the Japanese Food Exhibition today! Posted in Meet the Chef, People, Recipes, Restaurants and tagged chef, cooking, dubai, Dubai blogger, food, Interview, japanese, Japanese cuisine, japanese food, People, tempura, wagyu. Bookmark the permalink. Skin Republic – now in the UAE!